You may have suspected I wouldn't have had a chance to do much shopping in my first month as a new mummy, but that's where you'd be underestimating me. In fact, when you're pinned to the sofa breastfeeding for hours every day, there's actually not much else to do than scour the shops online one handed on your tablet! It's been a strange month for sure, maybe it's the sleep deprivation but I haven't really felt with it a lot of the time. I've spent hours scrolling through Pinterest and wishing I was thin and stylish with time to do my hair. The reality is you're lucky to get a daily shower in with a demanding newborn. I'm also desperate to get out of my maternity clothes. Its horrible to still have to wear them after pregnancy and I'm so keen to lose the baby weight and feel like myself again. 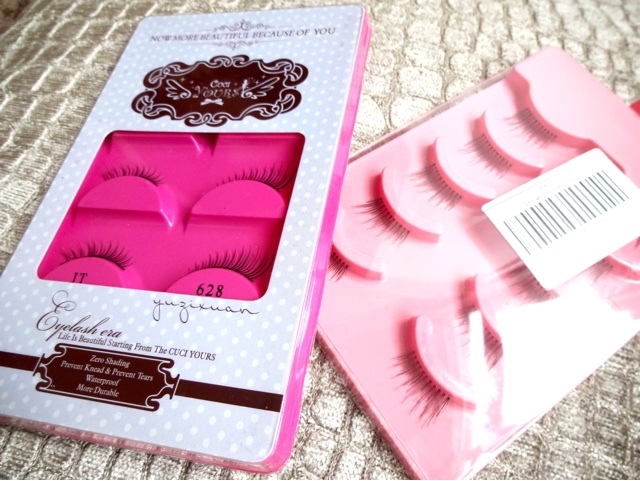 So I have been shopping in the hope I'll be able to wear these items and play with the makeup soon! As autumn really gets underway and a chill creeps into the air, cosy knitwear is top of my list to stock up on. At the moment, I'm still stuck in mainly black leggings and stretchy vests, like I was for the later months of my pregnancy, so I wanted some loose fitting knitwear that would go with leggings and boots. This cardigan has a relaxed, slouchy fit, a warm, snuggly knit texture and a bold black and white pattern, while the waterfall front disguises my mummy tummy. Feeding a baby is also much easier when you dress in loose layers that can be shrugged on and off as needed, and have folds and extra fabric to conceal. What would autumn be without a new scarf for my ever-growing collection? I really wanted one of these oversized blanket scarves as they're super warm and really dress up a coat or leather jacket. I also like the trick of wearing them over a cardigan and belting them, a la Olivia P, for a totally new look. This scarf is reversible, with a black and white houndstooth check on one side and a traditional tartan on the other, which I loved. It makes the design really unique and I adore the flash of contrasting pattern when you wear it. Best of all this was a total eBay bargain and only cost £8.00. Long flat boots are an absolute must have for me in the autumn and winter. They're elegant, comfortable and quite practical for dashing about with Theo or taking long, frosty walks. When I was in my pregnant nesting phase I went through my wardrobe and chucked out all the old, scuffed up winter boots I was hoarding, so I'm going to need to buy a couple of pairs to replace them. 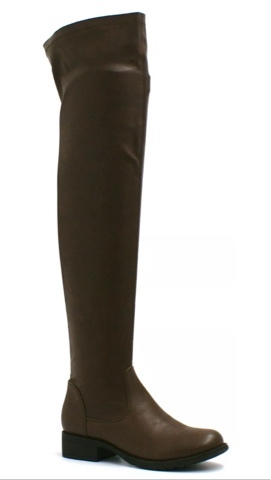 I love the equestrian vibe of this chestnut brown pair and the longer length is more flattering on me than a mid-calf style, which can visually shorten legs. Another piece of oversized knitwear- I liked this one because it's got some interesting design details. The jumper is made of this white, shaggy wool that gives a bit of a rock and roll vibe to it, and then it also features sheer black mesh panels on the shoulders and back which give it a cut-out look. Seriously, how freaking cute is this?!?! It was love at first sight. I came across origami animal necklaces first on Pinterest and wanted one badly. But when I tried to track them down,the link went through to contact details for a small boutique in Paris that didn't offer international shipping. Heartbroken, I thought I'd be waiting until my next trip to France to pick one up! But after a bit of research, I found a similar range from Love Hearts and Crosses. They had a few different animals- I liked the crane and also the rabbit- but I decided on this gorgeous fox as my final choice. 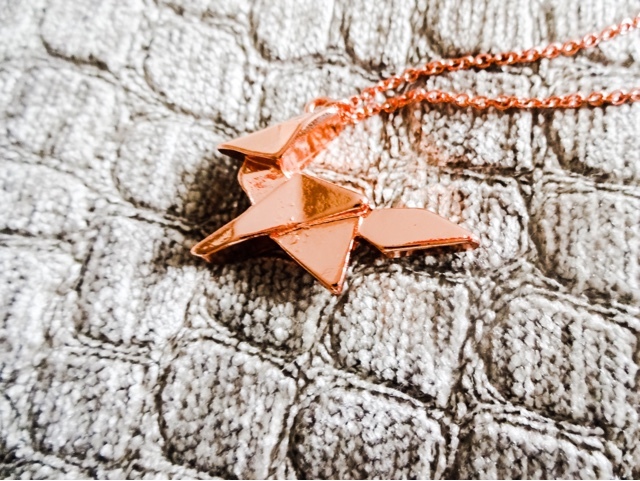 The necklace is really delicate and perfect for layering up or wearing alone for a more subtle look. 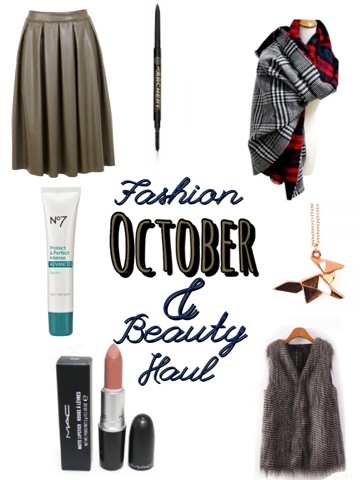 What would autumn be with a bit of faux fur? I absolutely love the stuff because it's so cosy and I'm quite a chilly soul. It's also a great way to bring the glamour while also keeping warm. Shaggy fur like this has a total rock and roll vibe as well, very La Moss. This was another complete eBay bargain for about £8.00, but the quality is very nice and the fur is deep and thick. I'll be layering this over a polo neck and skinny jeans with ankle boots for those crisp, cold autumn days. Another item I loved at first sight. 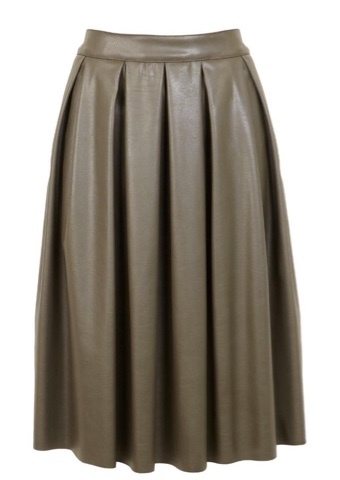 I mentioned in my autumn fashion wishlist post that one of my key pieces was a leather midi skirt. I love the subversion of the ladylike length with the edge given by the leather. The khaki colour is also great for autumn and a nice alternative to the usual black. 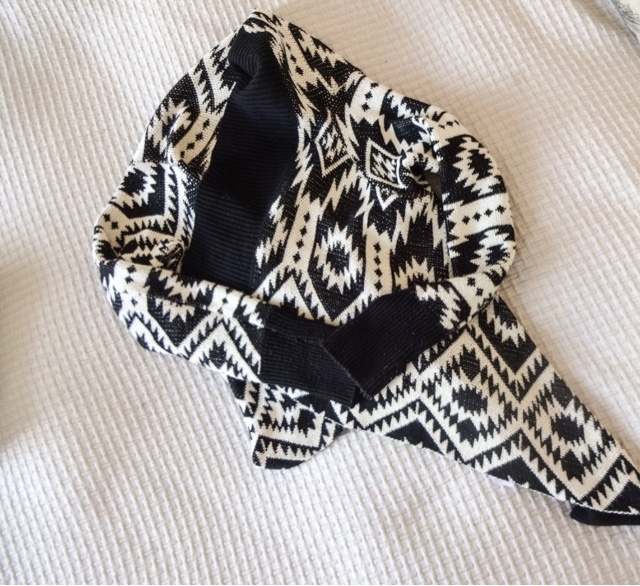 This will pair with cropped tshirts and sweaters, baggy band tees and little best as well so it's a great piece to have. This is something I've repurchases for about six months now, and although I do still have fine lines, I think it's doing its part on the prevention front. 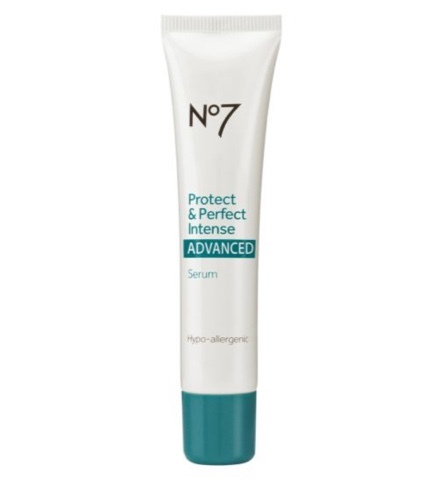 Nothing I've ever tried, even far more expensive serums, has completely erased all my skin woes, but this is helping. Skincare experts agree that this stuff is as effective as far pricier ranges, so I'm sticking with it for now. A 30ml tube seems to last me a couple of months, and I use it morning and night, so that is brilliant for the price. I've heard so much hype about this product, I had to give it a go! 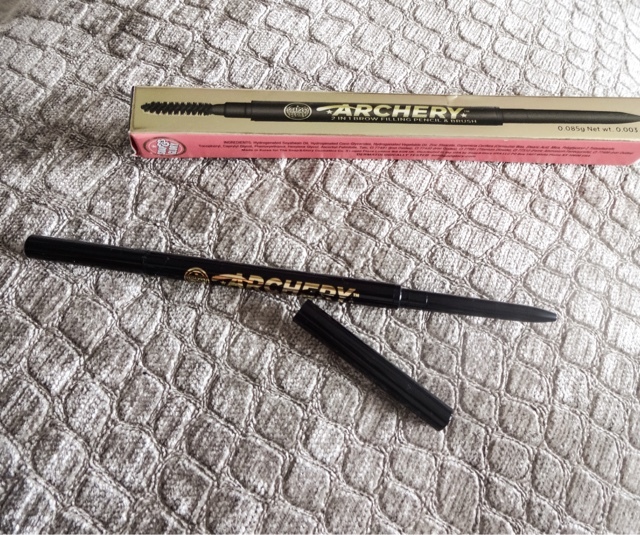 It's supposed to be a dead on dupe for the super-popular Anastasia Brow Wiz, which I haven't tried although I have used and liked the Dipbrow Pomade. Usually I use a powder shadow on an angled liner brush to fill in my sparse brows, as this is the approach that gives me the most natural finish. Having not tried a brow pencil for quite a while, this is a new thing for me. Memories of ones I've tried previously aren't that great- I never mastered them and they always seemed to give me too much of a drawn on look. But this seems quite hopeful- the tip is super fine and the inclusion is a spoolie is helpful. Could this be the brow pencil to change my mind? My only slight gripe is the shade. There's only two - so I went for the darker one, 'Hot Chocolate'. And even though it matches my hair colour, I consider it a bit too dark. Going a shade or so lighter when you fill in looks so much better when you have very dark hair. The lighter colour is way too light though, so until they expand the shade range we're going to have to compromise! This month I went on a bit of a corner lash mission! 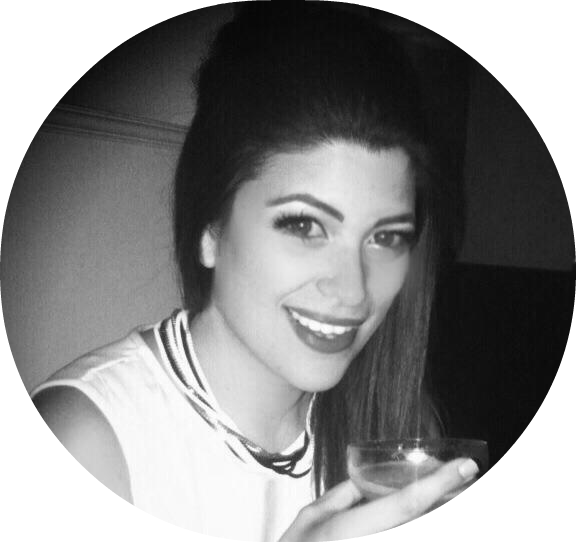 Long lashes are something that make me feel instantly groomed and at my best, to the point where I often wear more subtle styles during the day. Popping them on only takes a couple of seconds really and it makes such a difference. These corner lashes just add a gentle flare to the outside edges of eyes- food for when you don't want to look too over the top. I picked up a couple of packs- one style are very light, subtle and quite short with an invisible band. 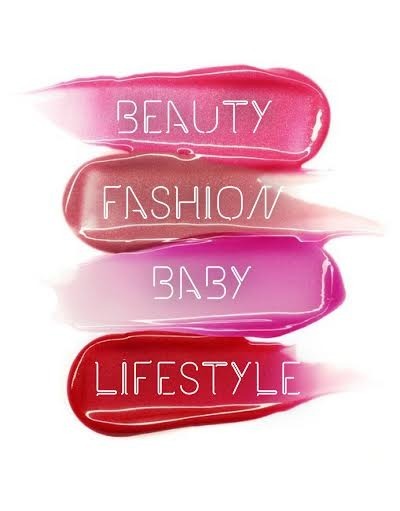 These are extremely natural looking and would even work for a 'no makeup' look. The second style are still fine, but longer and more defined. 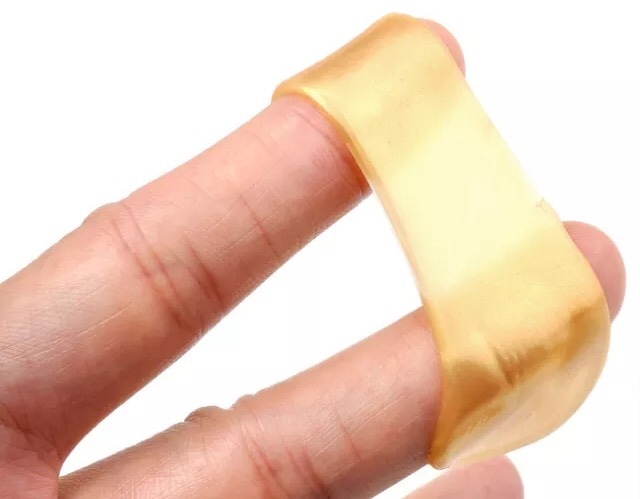 They also have a thicker band, which I'm not a fan of, but it can be disguised with liner. Another repurchase! 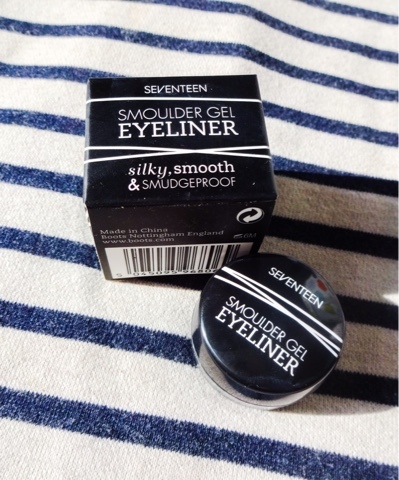 I totally love this gel liner, it's very black, extremely creamy and lasts so well and yet it's such a great price. You can apply it either as a precise line or smudge it out for a sultrier look. What I love about a gel liner is that it's a softer look than liquid liner and yet sharper than a pencil. It's really good for getting that feline shape to the eyes. This is such a bargain for the quality and easily holds its own against the gel liners from Mac and Urban Decay that I've tried. This is a go-to shade for me, one I use almost every single day. It's not the most exciting shade but it's pretty much indispensable to me. 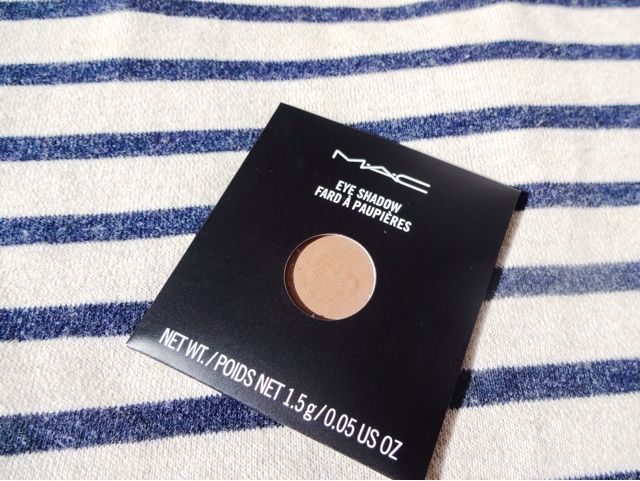 As well as being the perfect transition colour, this is the shade I use to fill in my brows. It works perfectly for this as its a nice ashy shade with no red tones, and it's a shade or two lighter than my natural brow hairs, which works much better if you are dark. Plus it literally lasts all day once on. I also like to put a dab of this on the outer corners and under the lower lash line when I'm working a natural eye look. Equally, when I'm going for drama, this works very well blended in with black to lift the harshness. It's just an absolute must-have. 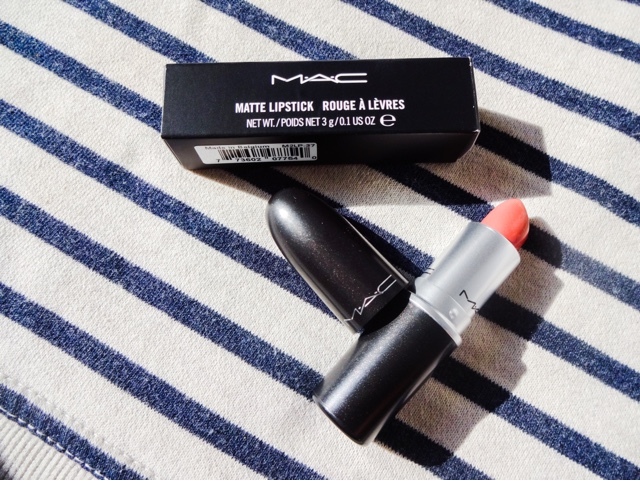 I always keep this shade in my custom Mac quad as a go to, along with Omega, Naked Lunch and Satin Taupe. Always need those four shadows in my life! I gave into the hype and added this It shade of the moment into my collection! Obviously the blogging world has been obsessed with this shade due to Kylie Jenner and I must admit I'm quite obsessed with her make-up too. Whatever my feelings on her personally, she does have access to some of the best MUA's in the business, and I especially love Hrush Achemyan, who often does her make-up. Anyway, although I'm not generally a big fan of mattes, I kind of bought into the hype as I have similar colouring to Kylie and when I dropped into the Mac store last I tried it and decided I loved it. Would have bought it then and there but the service was so bad! I stood at the counter for ages with no assistance and then when someone finally appeared, another customer pushed in front of me and they said nothing. At the time I was heavily pregnant as well and I just couldn't be bothered with their rudeness so I left. I usually have a positive experience in their stores, so that was unusual. When Mac emailed a free shipping code, I decided to take advantage and get the colour along with my eyeshadow refill. I'm really enjoying this shade which is a pinkish brown, although you do need to remember the lip balm as it's fairly drying. Oh my poor tired eyes! Having a small baby is definitely not good for your under eye area and I have bags, lines and dark circles til Sunday at the moment. In an effort to wage war on my new accessories (the only type of bag I want to get rid of! ), I stocked up on these masks which I've used for a while. 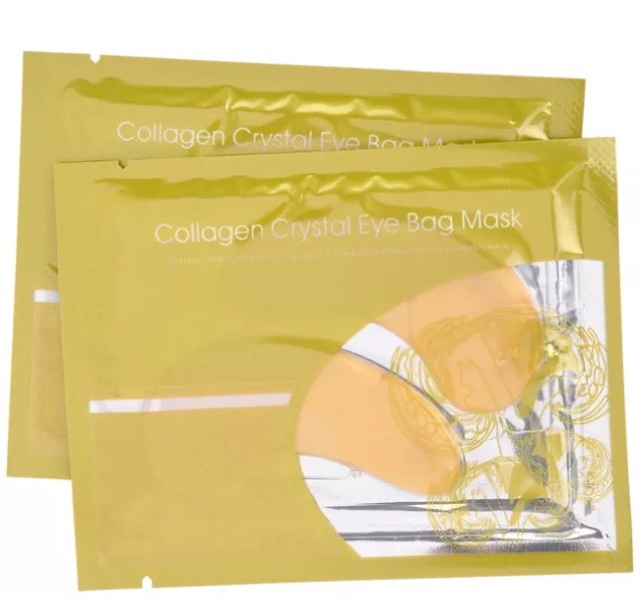 They are like little rubbery strips soaked in a collagen gel solution which you PPP on under the eyes. They work on puffiness, fine lines and dark circles with a mix of collagen, hyaluronic acid, rose oil, bear berry extract and grape seed oil. So soothing in, especially when you pop them in the fridge beforehand. Best of all, you can pick them up very cheaply from Korea- I paid just £2.85 for ten masks! Stalking YouTube for tips on covering my eye bags, I came across a makeup artist recommending this, so I also picked one up. I actually wanted the caffeine roll on but they seem to have discontinued that in favour of this new product. 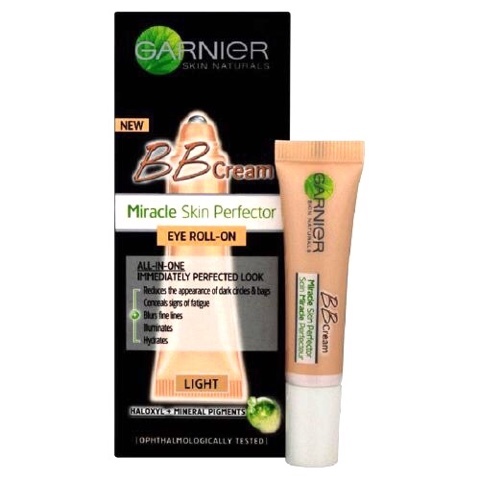 I really like the Garnier BB cream for face, so I thought I'd give this a go too. It's supposed to smooth and brighten and reduce dark circles over 28 days, so we'll see! I do like that it treats and covers in one, although I find the coverage insufficient on its own and generally use another concealer on top. There's a little metal roller ball on the applicator which is nice, as you can give yourself a mini eye massage while using it. Here's hoping it helps my under eye situation, because it's getting messy! And that's my little haul for October. What have you been buying and trying lately? Let me know and link me to your own haul posts in the comments!